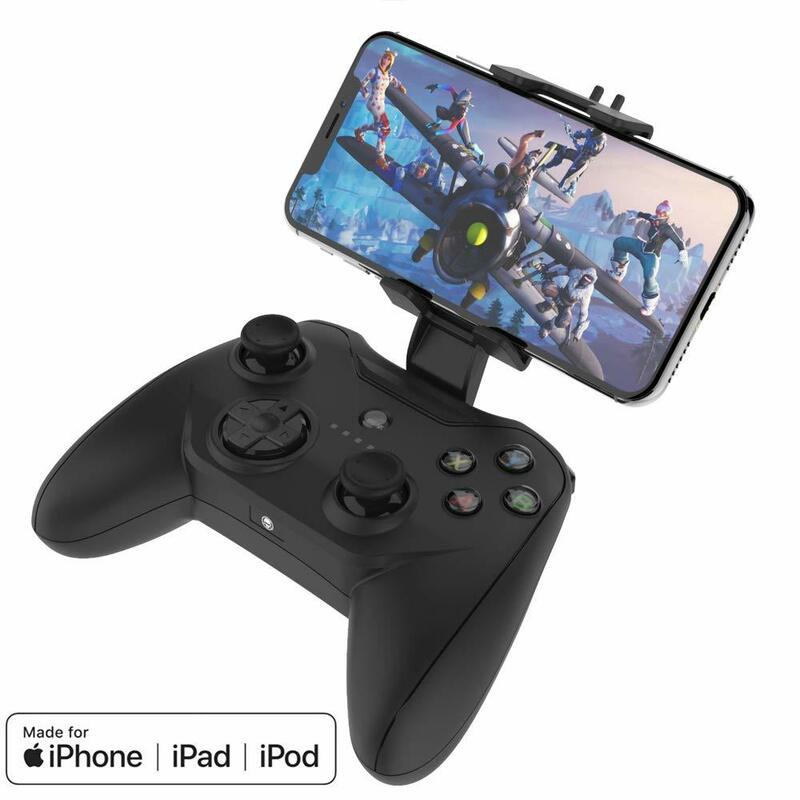 Rotor Riot MFi certified fortnite mobile gaming controller compatible with iOS . The first MFi certified controller to offer L3 and R3 buttons to open up your gaming experience. 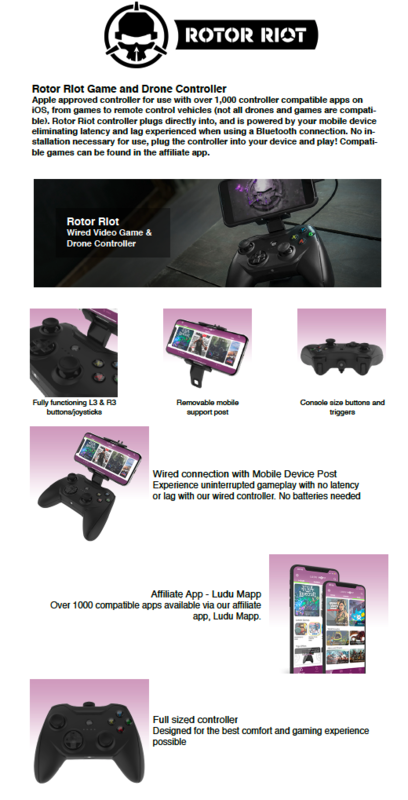 Rotor Riot controller plugs directly into, and is powered by your iOS device eliminating latency and lag experienced when using a Bluetooth connection. Compatible games can be found in the affiliate app, Ludu Mapp available for download on the iOS App Store, now compatible with Fortnite, Asphalt 9, NBA 2K19, Rayman Adventures, Grand Theft Auto Vice City and many others. 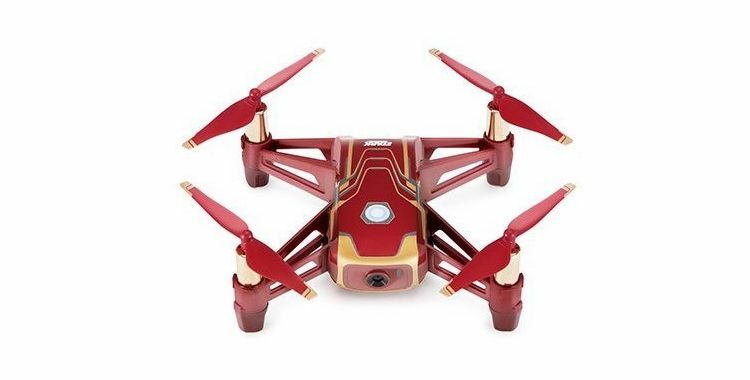 Tello Iron Man: Fly Like a Hero. Miroir Ultra Pro M631 USB-C Projector 1920×1080p (1080p). Protect you new Retina MacBook Air 13" 2018. .
DJI Osmo Pocket, Because Life is Big. DSLR your iPhone! Unleash the power of your camera . Aiino Power Bank with LED display and USB & USB-C ports. Pre-order PowerPic, the picture frame that wirelessly charges your phone.